Buy All-in-one Brother DCP 120c with CISS with CISS and make 30 times more quality prints for the same money! Pay only 0.04 USD for A-4 full color print! The Brother DCP-120C printer is a polyfunctional unit that includes a printer, copier and scanner. The ideal variant for a small office room. This printer differs from their predecessors by additional option of auto document feed that allows to copy or scan multiple documents. A Japanese company is the MFP manufacturer, which gained good reputation in the market of office equipment. The requirements of reliability and quality are met by brother printer dcp-120c, taking into consideration the execution of work. There are all the advantages of multifunctional inkjet device in DCP-120C Brother , and the most important point is that it has printing of high quality. The print speed of monochrome documents is 20 pages / min, in color is 15 pgs/min with print resolution 1200x6000dpi wonвЂ™t make you be sorry for the choice of this printer. One of the advantages is that the integrated card reader allows to print directly from a memory card and there is no need to connect it to the computer. Color prints are qualitative and colorful. Scanning of a document on dcp-120c brother is rather fast. Black / white scanning is made by 4 sec. and color scanning is 6 sec. onto an A4 sheet. Test results have shown that manufacturer parameters correspond to actual ones. The scannerвЂ™s optical resolution allows you to obtain contrast copies with accurate color rendering as it is 2400x600 dpi. DCP-120c printer as a copying device prints up to 17 pages per minute for monochrome printing and 11 pages per minute for printing in color the resolution of which is up to 1200 dpi. It`s excellent for such a multi-functional and compact device. We can also directly use it for copying a lot of pages on one sheet or to change the document`s zoom parameters. 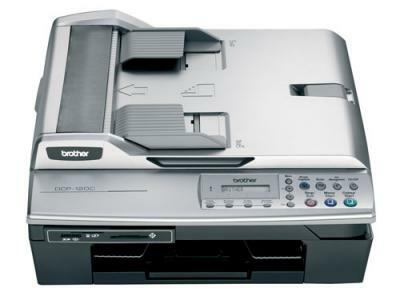 Brother DCP-120c wireless all-in-one inkjet printer is incredibly compact. Its stylish design will satisfy the requirements of the most hard-to-please customers. We want to attract your attention to the similar models of MFD: Brother DCP-130C and Brother DCP-135C. Certainly every lucky person which is an owner of an inkjet devices knows about the negative side of this unit - high prices for original expendables. This problem was solved thanks to the system CIS. INKSYSTEM Company assures savings on printing in more than 30 times. You wonвЂ™t have to spend you time and money on original cartridges. 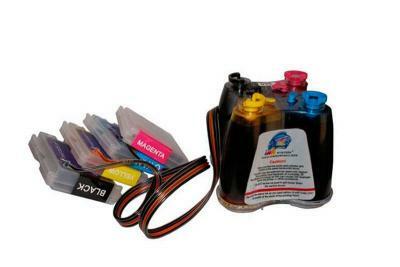 In the system CIS ink is constantly supplied directly to the cartridge, and all that you need is to refill an ink tank. The set of such necessary functions as a scanner, copier and printer, will make Brother printers DCP-120C best-selling office equipments. Its reliability and performance combined with its stylish design and small size deserve customersвЂ™ attention. Today office equipment Brother receives positive reviews from customers worldwide. It became very popular in many cities, among which New-York, Boston, Los Angeles, Chicago with no exceptions. Sheet Weight - Paper Tray (max/min) 17-48 lbs. Unit Dimensions (W"xD"xH") 14.7" x 17.8" x 5.3"
Unit Weight (lbs) 12.1 lbs.